Two clever mice try a balancing act but are interrupted by friends who want to play too in this delightful Classic Board Book that’s “just the right size for small hands and sharing one-on-one” (Booklist). Two mice make a teeter-totter. They’re balancing just fine, but then along comes a frog. Can they make room for one more friend on their teeter-totter? What about two? What about more? But then a big bird comes along and wants to play too. Better watch out! This sturdy Classic Board Book edition is perfect for balancing between little hands. 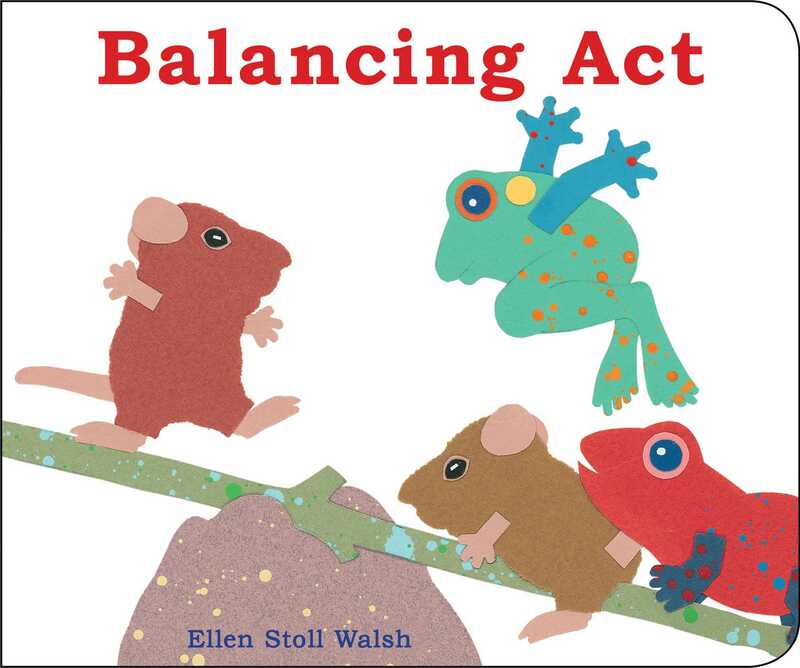 Ellen Stoll Walsh has written and illustrated numerous beloved books for children, including Balancing Act and the bestselling modern classics Mouse Paint and Mouse Count. She lives in upstate New York.